Are you worn down from teaching a student (or a group of students) who have seem to have a “sieve brain”? There’s nothing more frustrating than teaching phonics repeatedly to a student and yet none of it seems to stick! You teach important content with all the bells and whistles–multisensory, movement, repetition, etc. And then come the next day or the next day and a student looks at that thoroughly taught letter sound as if he’s never seen it before. 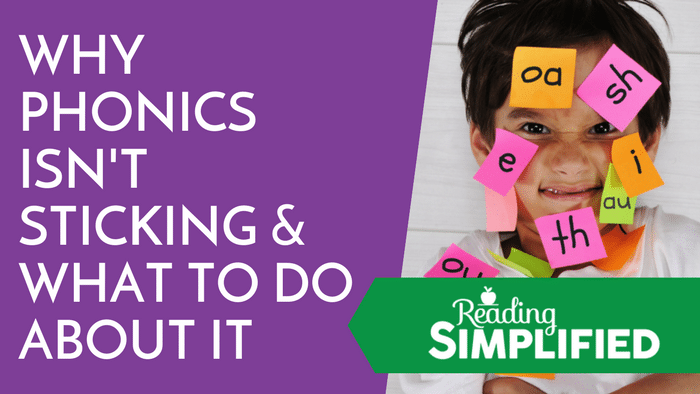 We’ve all encountered students like this, and instead of stressing out about it and trying to figure out what you’re doing wrong, I’m going to tell you exactly why phonics isn’t sticking, and more importantly…what you can do about it. It may seem as if some students have brains like sieves. 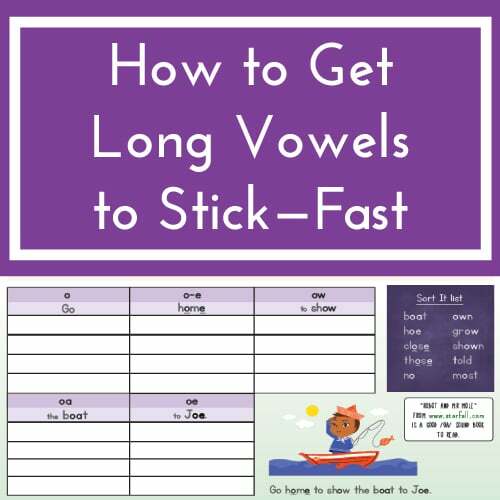 When phonics or sight word knowledge goes in, it tends to slip right back out again. Nothing seems to stick. The number one reason why some kids can’t make phonics stick is that they have weak sound-symbol decoding. If a child has this problem, it means that their brains aren’t doing a great job matching sounds with symbols. Some students will link sounds and symbols haphazardly. They understand the link between some of the letters with sounds, but they don’t match up EVERY letter combination with a particular sound. For instance, a child with weak sound-symbol decoding may come across the word FLAT. She may pronounce FLAT as FAT. As you can see, there is some sound-symbol correspondence there, but it’s not tightly aligned. When students add or subtract letter-sounds from an unknown word, that’s the teacher’s cue that they don’t have strong sound-symbol decoding. As a result, the words they are reading are not tightly linking sounds and symbols…. Thus, their brain can’t memorize information that’s only loosely linked. Some kids can trick us with their sound-based decoding. It seems ok–the occasional mistake here and there–but they definitely use sounds to attack unfamiliar words, right? Most of these types of readers have a hidden reading weakness, though. They have only a partial use of the our sound-based code. Please be on the lookout for this weakness as it is the most common struggle I see in students–by far. Good readers…or those who will become good readers…notice all the little inside parts of words. They have or are developing strong sound-symbol processing. As a result, words “stick” more easily for them. So, how can you tell if a student has a weak sound-symbol decoding problem? Listen carefully to the way the child links symbols with sounds. For instance, is she able to identify each sound of the word FLAT? We want them to see and read /f/ /l/ /a/ /t/. A student who struggles with sound-symbol processing may leave out the /l/ sound completely, which is a clear sign that there’s an underlying issue. Another option is to give a quick norm-referenced Nonsense Word Reading assessment. Since the child couldn’t have already encountered these nonsense words, the test reveals how strong his/her sound-based decoding system is functioning. 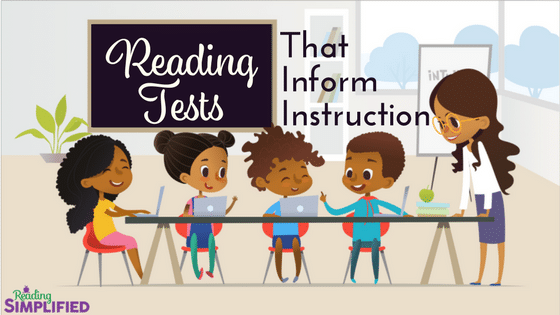 On this post, I share 2 free norm-referenced Nonsense Word Reading tests. I like to see scores above grade level for Nonsense Word Reading, as good readers are almost always excellent at this. 1. Switch It – where the child reads a word like ‘PIN,’ and the teacher asks her to switch it to ‘PAN’ – simple. 2. Read It – teaching kids to blend the sounds as they read a word. The three activities of Switch It, Read It and Sort It are the building blocks that will lay the core foundation skills your students need to understand how each symbol connects to a sound. THEN, phonics will stick! If you’d like to read more about these activities and watch videos of each in action, then click the links above. 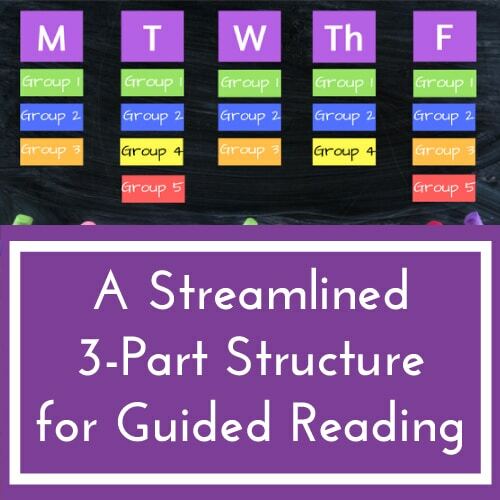 To show how powerful Sort It can be and how it can streamline your reading instruction, we’re hosting another on-demand workshop, called Making Phonics Stick! When you join this Making Phonics Stick! workshop, we’ll show you how this one activity can help you run an entire classroom that’s differentiated using multiple activities. 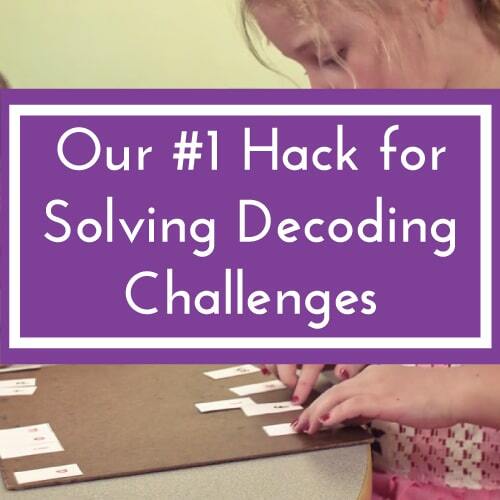 You’ll also understand why Sort It solves the phonics stickiness problem and how the system can be used to help students’ brains make phonics stick. If you have students for whom phonics just isn’t sticking, then please register for the on-demand workshop…. 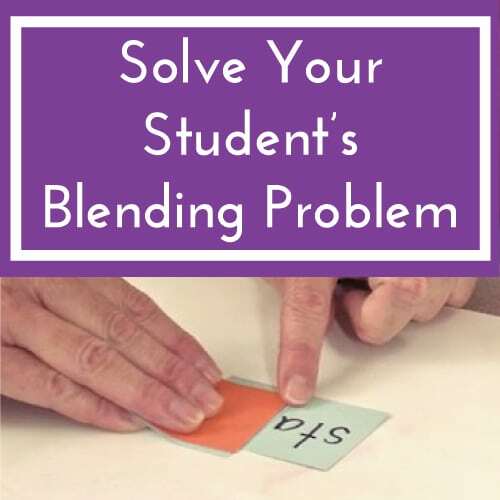 One element of Sort It–the Key Sentence–can be especially useful both for teacher organization and students’ rapid up-take of new phonics information. As we teach a new sound, like the sound /oa/, we also teach a Key Sentence, or mnemonic, to help the students (and the teacher!) recall quickly all the spellings of the target sound. As you can see, there are multiple /oa/ spellings in this sentence. 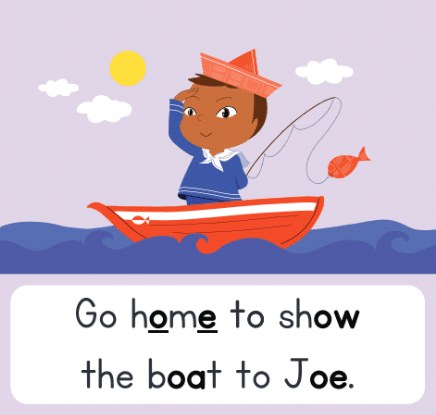 The Key Sentence includes each of the high frequency spellings of a given sound (i.e., o, o_e, ow, oa, & oe) as well as mostly high frequency words (i.e., “go,” “home,” “show,” and “boat.”). (Inside our paid membership the Reading Simplified Academy, we have a Key Sentence like this for each high-frequency sound. Or, you could create your own….just select high frequency spellings and words for each of the main Advanced Phonics sounds: /oa/, /ee/, /ay/, /i_e/, /er/, /ow/, /oo/, /aw/, /oi/). Each week we teach 1 new sound, along with its Key Sentence using the Sort It framework. Thus, in less than 12 weeks, many students will have learned all the tricky Advanced Phonics sounds and their main spellings, such as the sounds for /oa/, /ee/, /ay/, /er/, /ow/, etc. So, Sort It and the corresponding Key Sentences are easy, yet fun, ways that students receive a lot of exposure to high-frequency words and spellings. We lay the groundwork to help sounds and symbols connect for the kids’ brains, which is what makes the system so powerful. With a lot of practice and the right amount of intensity at one sound at a time, everything starts to stick. Join the New Sticky Workshop! If you want to find out how you can help your students overcome the sound-symbol decoding problem, sign-up for our brand-new workshop! The core content is completely FREE, and you’ll also receive some fantastic freebies if you participate. One of the freebies includes a downloadable /ee/ sound Sort It booklet that is ideal for teaching kids the primary spellings for the /ee/ sound as well as high frequency /ee/ words. If your students don’t understand how sounds and symbols match up, doing something like Switch It, Read It and Sort It will help them to fill in that mental sieve….Then it won’t be long before things start to stick. 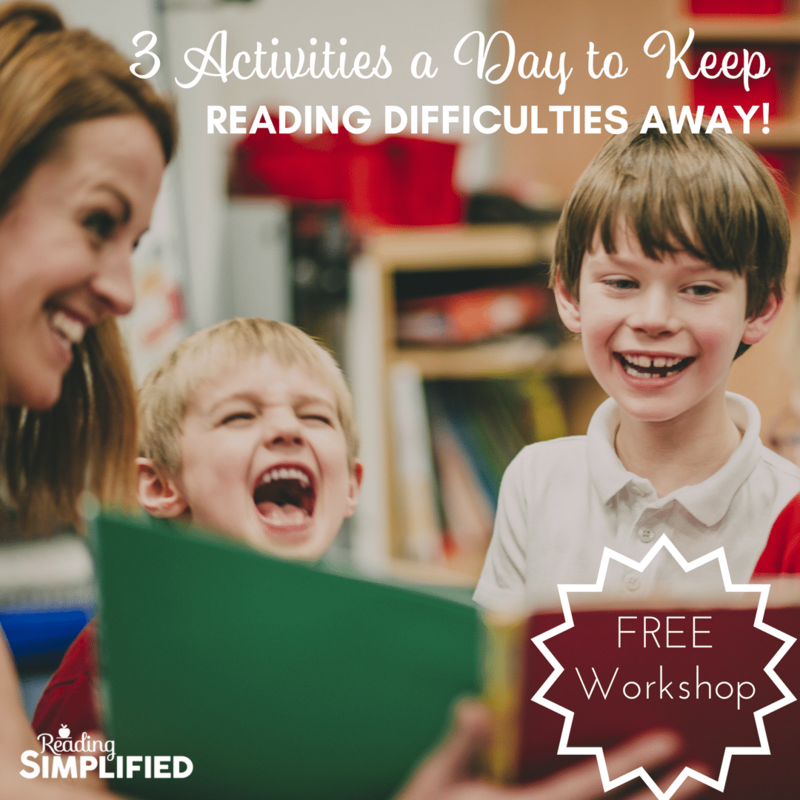 So…if you want to start implementing the three core activities to save yourself time planning lessons and accelerating your students reading achievement rapidly, sign up for the new workshop, Making Phonics Stick! What do you think of these activities and principles for helping phonics to stick? I’d love to hear from you…Just comment below! 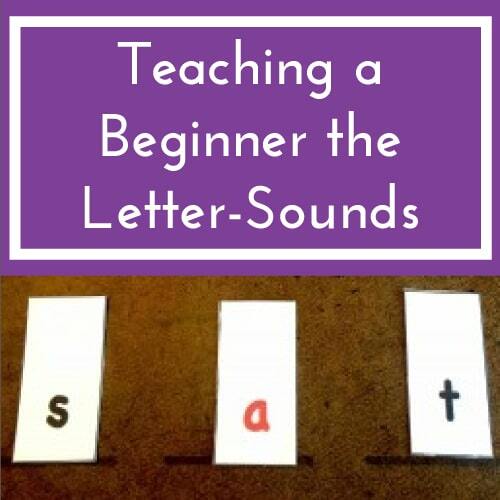 I’m looking for this to be useful for my emergent Kindergarten readers…learning letters and sounds. Is Sort It too advanced? Would we just “stick” with Switch It and Read It? 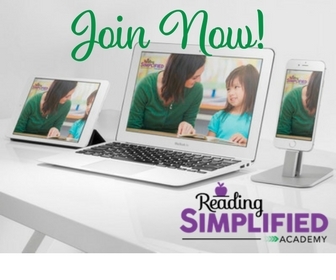 Wondering if the Reading Simplified Academy would benefit my little people and I. Thanks! Great question, Jess!! Yes, Sort It is great fun for Kinders! With Switch It and Read It, they learn the letter-sounds, phonemic awareness, and decoding strategies in a matter of weeks or months. THEN, it’s easy to transition them to Sort it: 1) they can handle the concept that 1 sound can be more than 1 letter and 2) they need to jump into all that Advanced Phonics as fast as possible because the consonants and short vowels make up far less than a fifth all the letter-sounds they’ll need to know to be mature readers. Lots of kids “camp out” too long in consonants and short vowels so when they move forward, they’re stuck thinking that 1 sound is always 1 letter. We can move at a fast rate so that they don’t get stuck in that rut. Please let us know if you give Sort It a try!